At our next show in Vancouver, we'll present five inspiring stories about life-changing catalysts. Sometimes the catalysts in our lives are chance encounters, sometimes they're our loved ones, but they're almost always unexpected. Join us October 16 to hear true, personal stories about science. Hosted by Kayla Glynn and Armin Mortazavi. Devine Calanog is fascinated by all things related to the brain, not unlike zombies. She received her BSc in Biology at the University of British Columbia. She aspires to guide people through their journey of self-discovery, self-love, and to become better communicators. She loves to spend her free time finding the best places to get tacos and enjoys being upside down (ask her what this means). 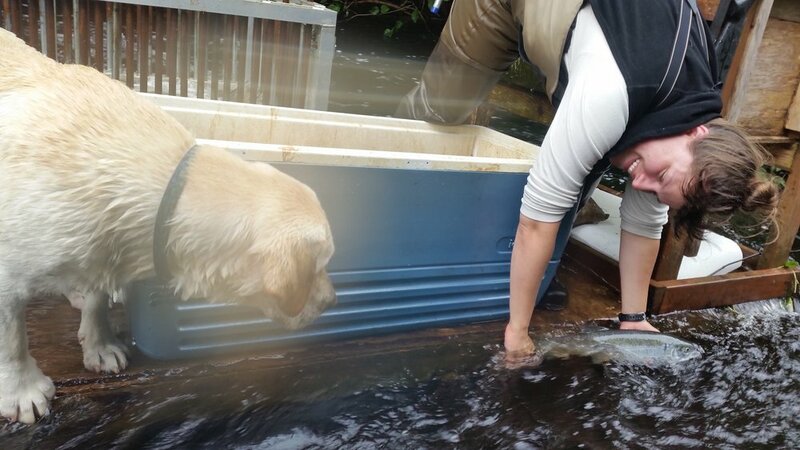 Laura Kehoe is a post-doctoral researcher at the University of British Columbia & University of Victoria, where she's busy developing a cost-effective conservation plan for the over 100 species of concern in the Fraser River estuary. Laura’s research has the overall goal of identifying pathways to balance human resource use with the conservation of biodiversity. To do this, she develops & applies approaches grounded in spatial statistics, spatial ecology, & conservation decision science. Ryan Tomm received his BA and MA in Psychology from UBC, working with Prof. Kiran Soma and Prof. Stan Floresco. Ryan examined how neurosteroids, such as testosterone, regulate different aspects of executive function, particularly behavioural flexibility. Ryan received multiple NSERC Undergraduate Student Research Awards and multiple NSERC Aboriginal Ambassador awards. He has taken his passion for research beyond the lab, holding science outreach workshops and seminars with high school students all over British Columbia. Now working with Prof. Rebecca Todd, Ryan's PhD research now focuses on clarifying the role of dopamine in regulating active and inhibitory avoidance learning in humans". Melanie Knight is CEO and Co-Founder of Ocean to Eye Level Consulting which supports coastal communities around the world open public marine education centres. Melanie is also the founder and past Executive Director of the Petty Harbour Mini Aquarium, a non-profit education centre in Newfoundland. Melanie had the opportunity to share her story of ‘bringing the ocean to eye level on the TEDx stage in Vancouver, November 2014. Melanie graduated from Memorial University of Newfoundland with a BSc. in Biology and a minor in Business. For the past 10 years, Melanie has been working with the largest and the smallest aquariums in Canada fostering curiosity for the underwater world. Melanie worked at the Vancouver Aquarium as a marine educator and manager of volunteers. Melanie has since been recognized for her work environmental work with the Petty Harbour Mini Aquarium becoming a Fellow of the Royal Canadian Geographic Society, receiving the Newfoundland and Labrador Environmental Award, TechGirls Portraits of Strength and the Canadian Network of Environmental Educators Award in 2014. She lives in Vancouver with her husband and K9. Jessica Gill is one of those rare people that knew in middle school exactly they wanted to be when they "grow up". She wanted to work with fish. Raised in Vancouver (Washington), she spent her summers on the beach poking dead things with sticks and frolicking in the cold water of the NE Pacific Ocean. Eventually, she got to work on that same ocean in a variety of jobs: as a scientist onboard fishing vessels, surveying salmon populations, harvesting delicious sea creatures, and running a high-school science camp. Now as a graduate student at Simon Fraser University, she spends most of her time thinking how best to manage fishery resources, expressing her passion for fish (mostly herring) to anyone who will listen, and taking her dog Marco on (occasionally ill-fated) adventures.